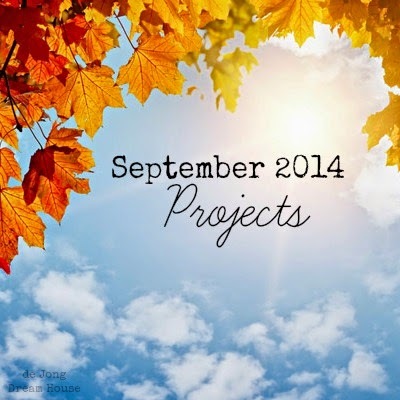 I didn't realize when I started doing these monthly recaps that my regular posts would slack off so much. Yikes! And here I thought I'd have more time when our son started school full time! 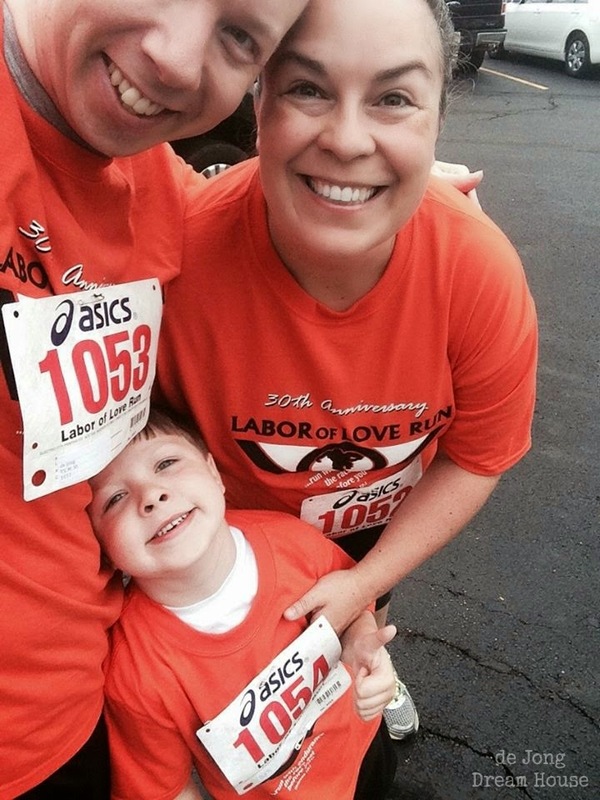 After all the health drama I've been dealing with this month, I am super happy that our family was finally able to participate in a race together. We just did the one mile fun run and we did have fun. We walked a lot and ran a little and I hope it was just the beginning. 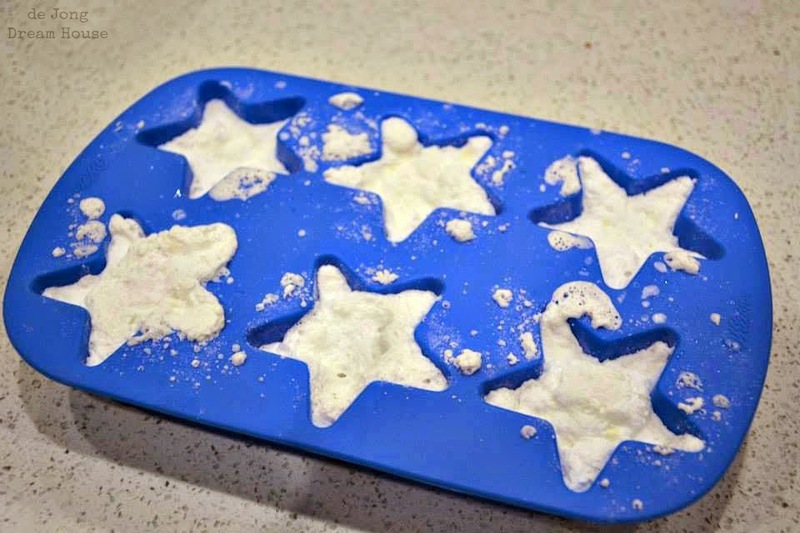 Like a lot of little ones, our son is not a fan of bath time, but the protests have greatly decreased since I've enlisted his help to make bath bombs with me. 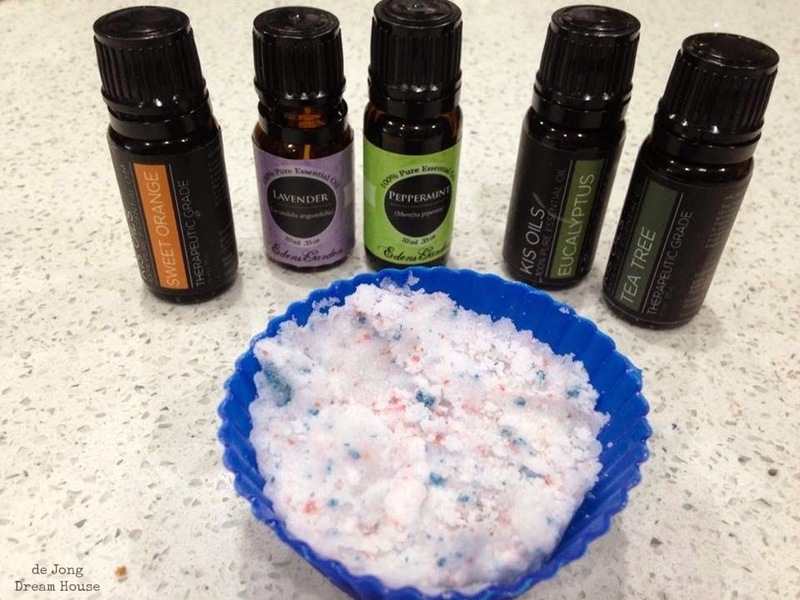 I roughly follow Homespun with Love's boy bath bomb recipe. 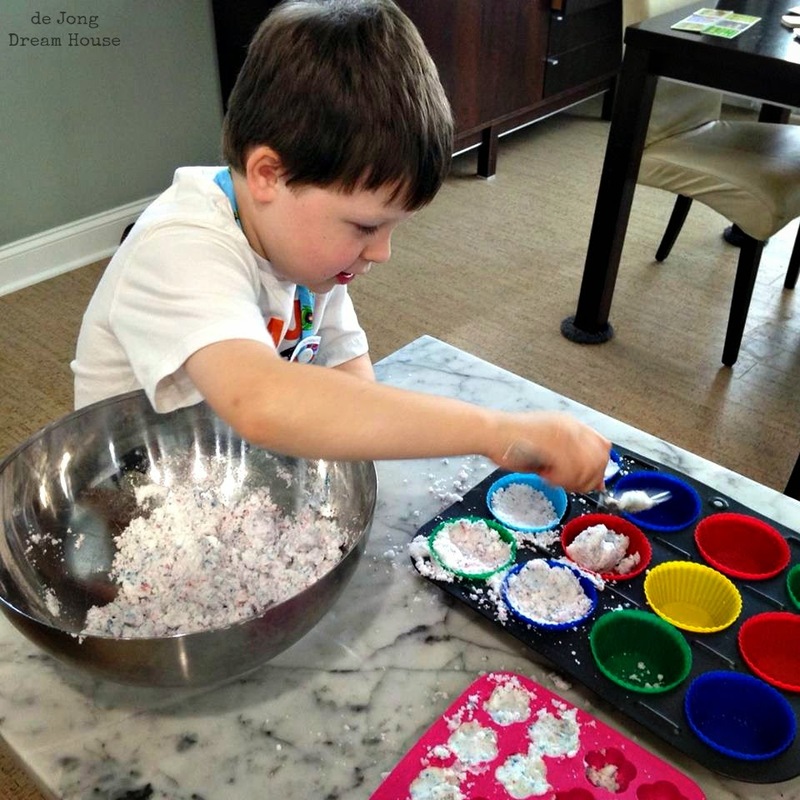 D likes to help me because the concoction fizzles and chemistry is so fun. This last batch was our favorite yet, so I think we'll stick with this blend from now on. We continued the chemistry fun by making toilet bombs. These smell really good. And they work great, too! 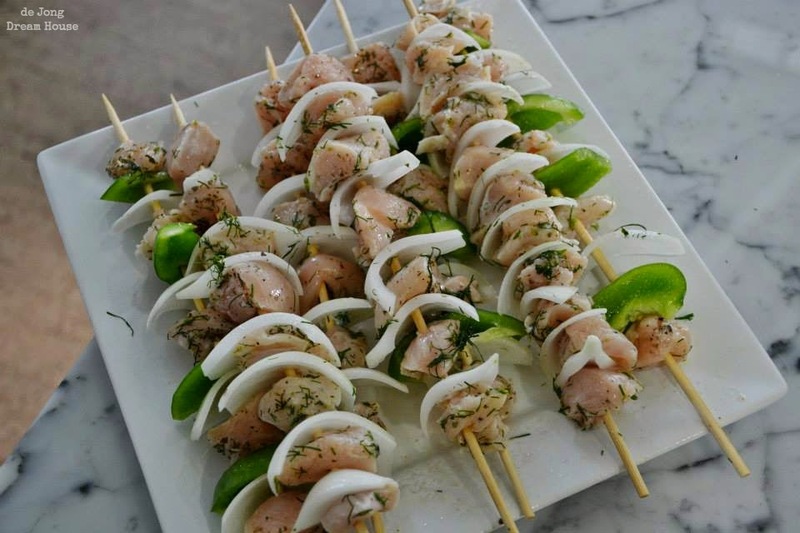 I didn't do a lot of experimenting with meals this month, but we did make Savory Sweet Life's lemon dill chicken skewers with our CSA dill. They were a big winner! If you want to see the other recipes we've been enjoying with our CSA haul this year, check out my CSA board in Pinterest. I've been quilting for a year and a half now. Clearly, I'm still a beginner, so I'm still learning a lot with each quilt I complete. I love figuring out patterns and mastering new techniques. I love hexies but haven't yet gotten my courage to try one yet. Here are a few I've been drooling over lately. I've been collecting fabric for an eventual Settlers of Catan.quilt, based on our favorite game. 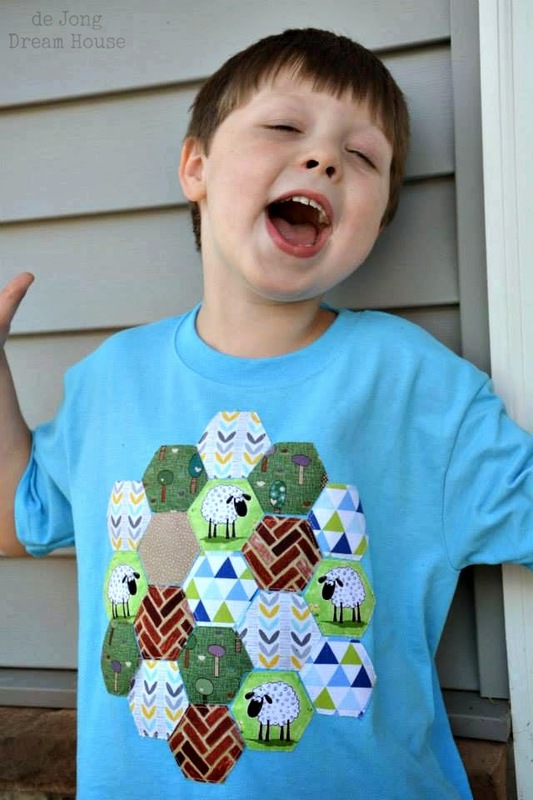 In the meantime, I made a Catan shirt for our little settler, who also loves to play. 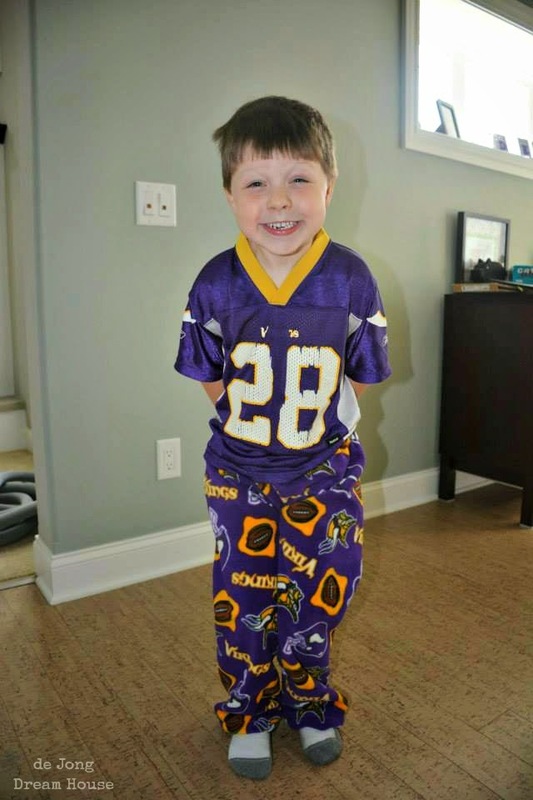 I also made D a pair of Viking fleece pants in honor of the start of the football season. Of course, given how our season started, maybe I should have made him a new shirt instead. 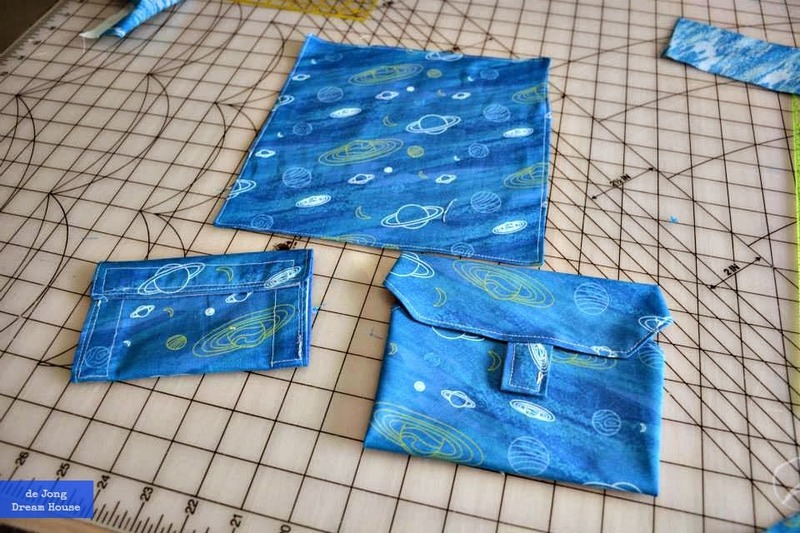 It took me a little while to finish them, but I made five lunch sets for D. His school doesn't have a cafeteria, so all lunches are packed, as well as his snack. 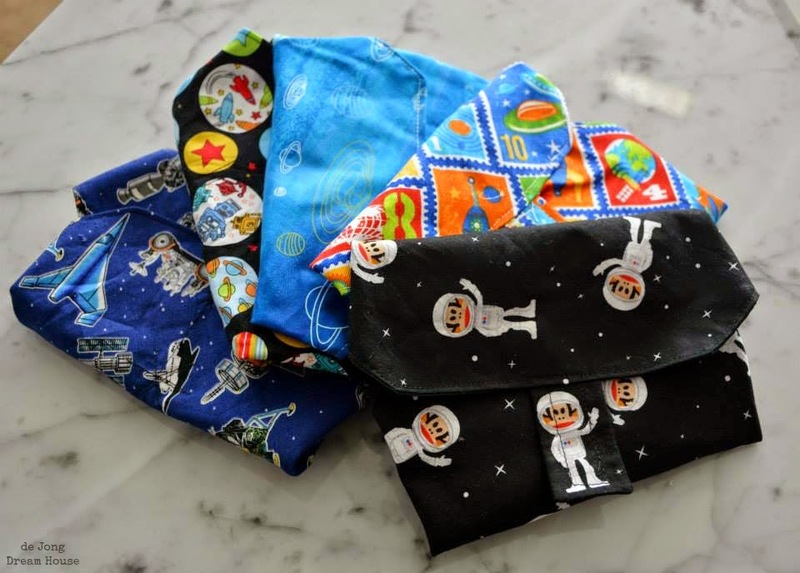 Each set includes a sandwich wrap that unfolds into a placemat, a napkin, and a snack bag. Look for the tutorial on this soon-ish. Here's a look at all five sets. The nice thing is that I can fold all three components into the sandwich wrap and put them in his drawer. I used ripstop nylon so they are machine washable too! 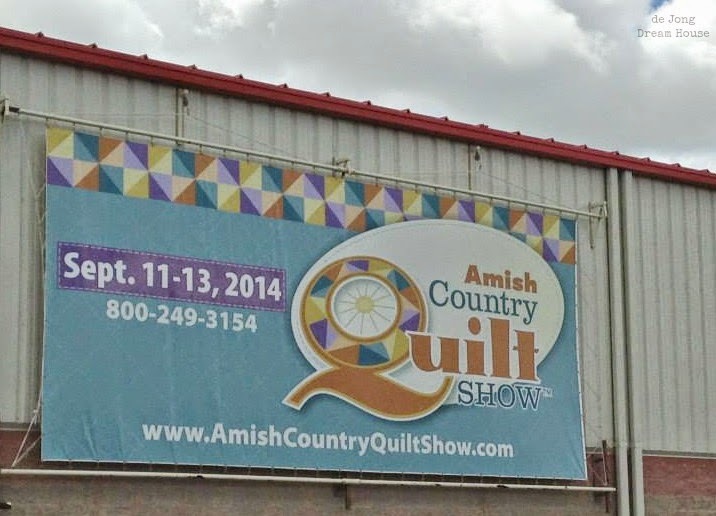 We live in Amish country, so we coincided our monthly trip with the Amish Quilt Show. It was very, very small, but I still managed to find some new fabric for my stash. Most of the quilts were pretty traditional (no surprise), but this one blew me away. I think the most impressive part of this quilt is that it was the artist's first quilt. Whoa! The photo I took of the description of the quilt didn't turn out well, but it's pretty incredible. 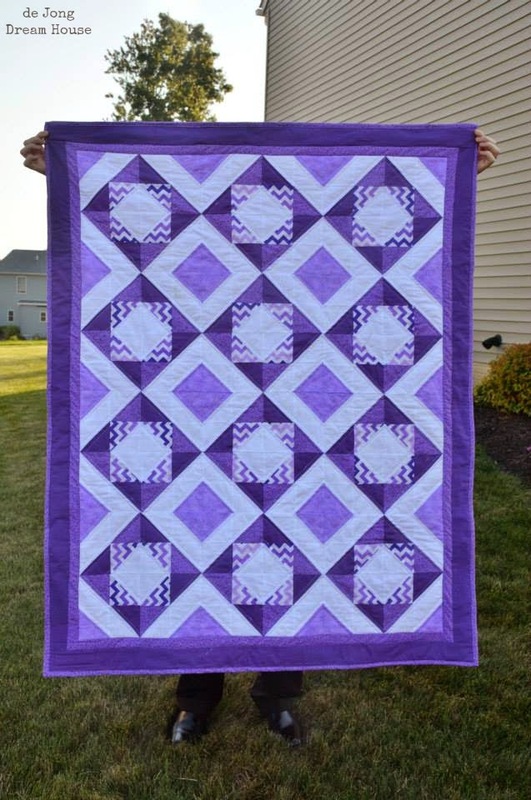 This is Bobbie Bergquist's first quilt! She attended a pain clinic to help with her migraine headaches--something I can relate to well! Her doctor suggested she find a hobby. She decided to make a quilt out of a hooked rug pattern. 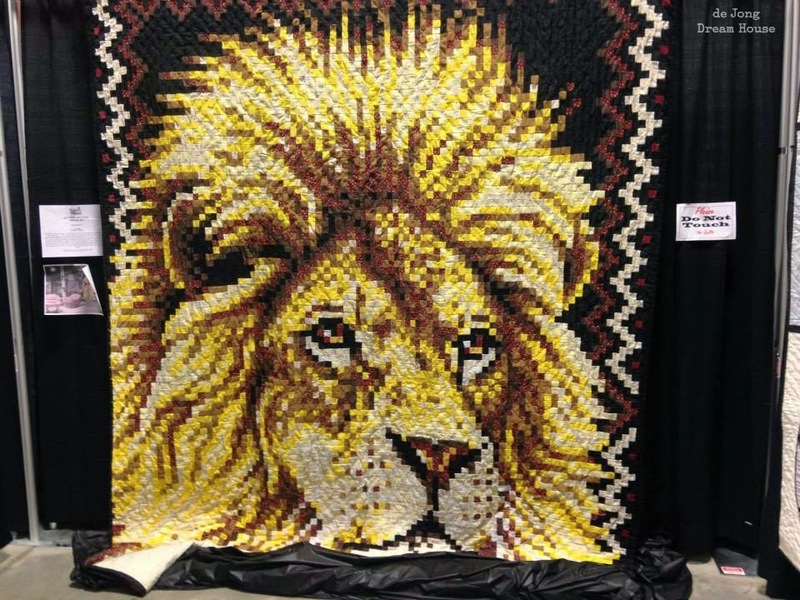 It's made up of 11,920 one inch squares and took eight months to finish the top! It is hand-tied and measures 10' x 12'. Bobbie says, "This was a healing quilt for me. As we attend quilt shows across the country, we have discovered a wide variety of quilts others have made as (part of their own) healing process." 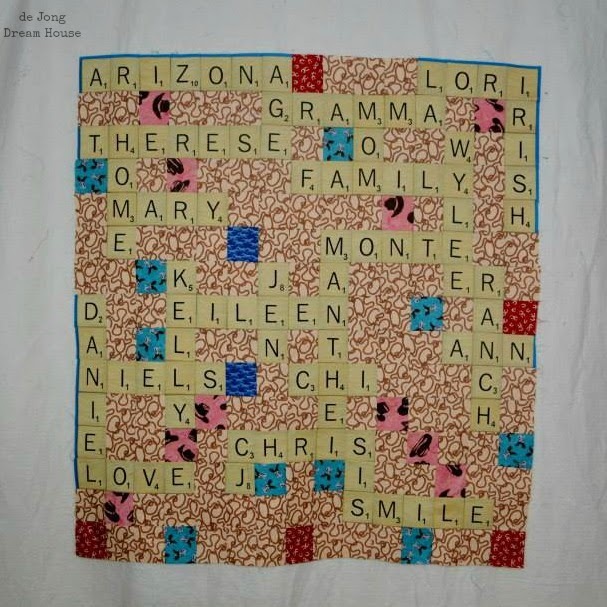 I was moved by this because I often say that not only has quilting been good therapy for my brain, but it has also been healing for my heart, as it has allowed to me a giver again after so many years of needing other to give their time, energy, money, and resources to help me after my brain injury. 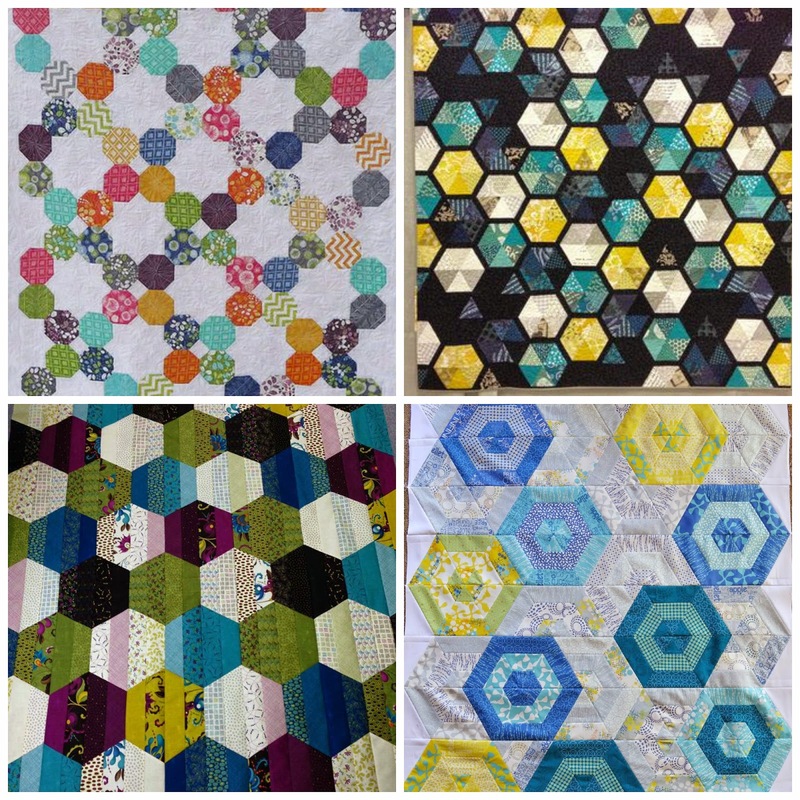 This was a good month for quilting for me. First of all, I finally finished three quilts for a sibling set. A friend of mine gave birth to twins seven months ago. 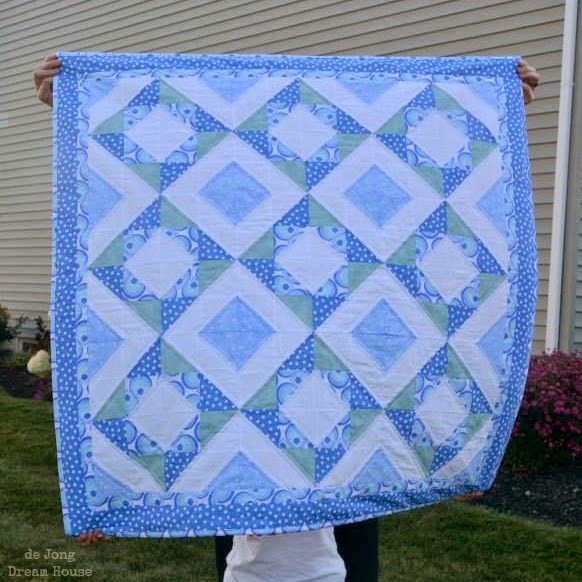 I wanted to make quilts for the newborns that matched but were slightly different. Then I decided to make another similar quilt for big sister, who is three. First, I finished the quilt for baby boy. I also finished a new charity quilt. 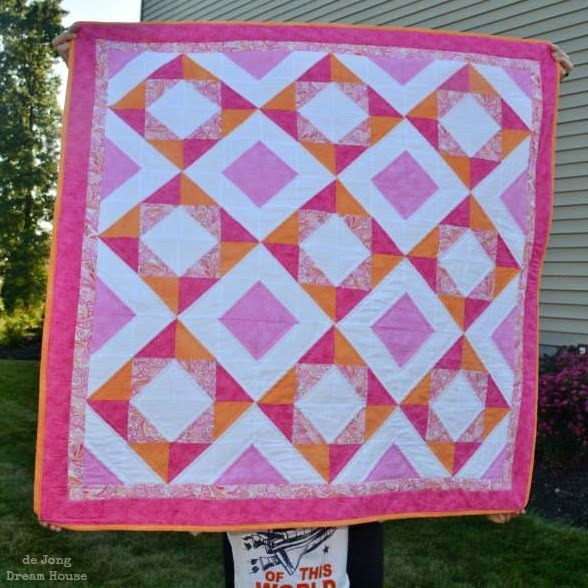 I was pretty flattered when our group asked if we could sell this quilt in a craft sale to raise money for more fabric. Does this make me a pro!? I'm not quite ready to share another quilt I recently finished, but here's a sneak peak. (Updated: you can read about my wedding-turned-memorial Up quilt here). I finally started my mom's Western Scrabble quilt. It took me awhile to design it and figure out the best way to do the letters. Now I'm waiting for inspiration for the borders. 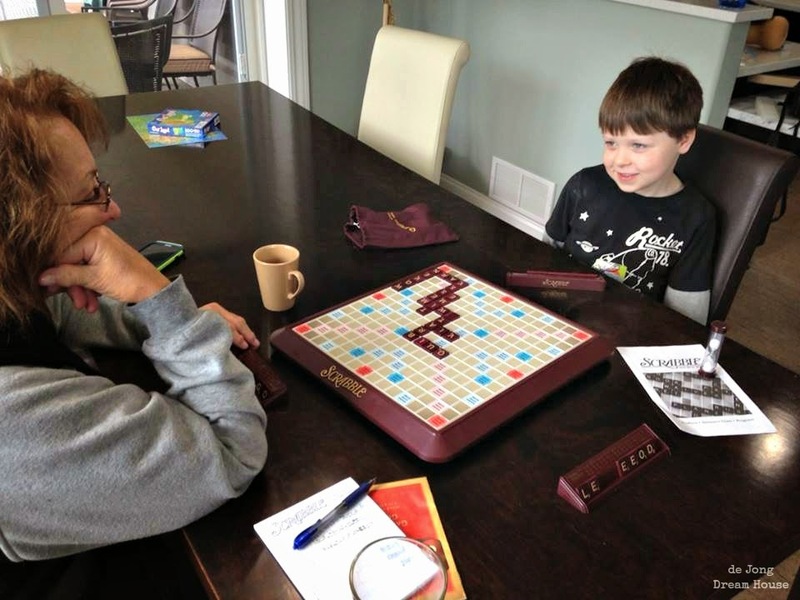 My mom came to visit for a week to enjoy the gorgeous fall weather and apparently, to pass down the Scrabble love to a new generation. Mom and D played many games together this month! I bought Elizabeth Hartman's book solely for that hex quilt (the Oh Fransson one). 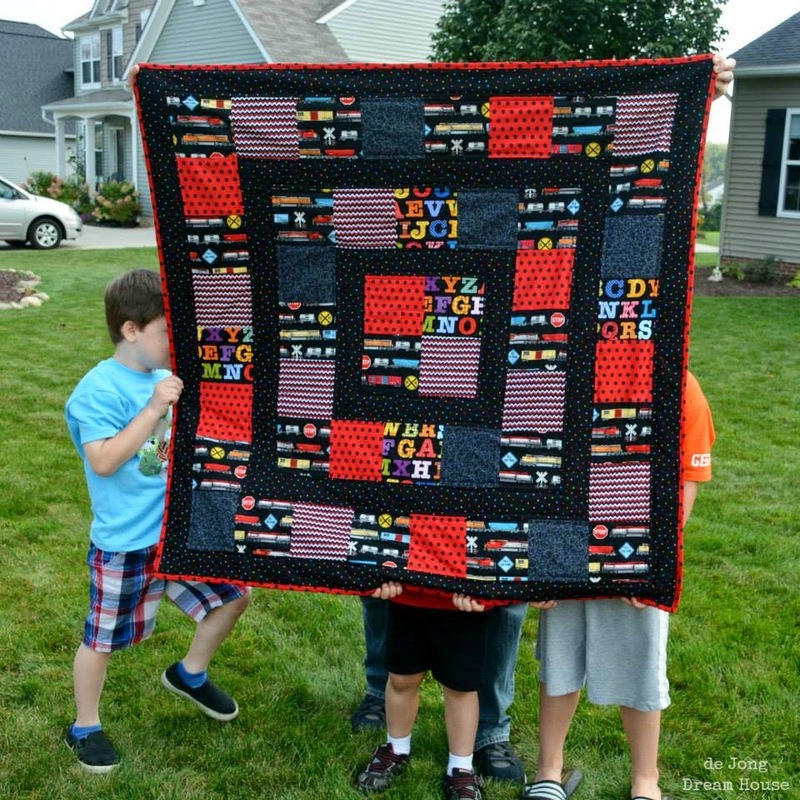 Still haven't made it, but it's on my quilty bucket list!! Maybe you should host a quilt along! That might be the kick in the pants I need to get over my hexie apprehension!